The 2019 White Coconut Tennis Classic will kick off this weekend at the American Memorial Park courts with 29 pairs out to contest the title in the centerpiece mixed doubles event. No. 1 seed Vincent Tudela and Juncheol Hwang lead the list of participants in the mixed-up doubles with the latter hoping to make it two in a row in the division after winning last year’s competition. Hwang paired with Jeff Race and they swept Ken Song and Isaac Heo in last season’s finale, 7-5, 6-3. Race will also play in this weekend’s mixed doubles and he and Hoo Wang are also seeded (No. 8) in the division. Other seeded pairs in the event are No. 2 Andrew Chung and Jimin Woo, No. 3 Robbie Schorr and Daniel Heo, No. 4 Jun Wang and Tania Tan, No. 5 Steven Goodwin and Eubin Park, No. 6 Sam Ryu and Jaehoon Son, and No. 7 Tommy Choi and Ji Eun Kwon. Chung and Woo, Schorr and Heo, and Hwang and Tudela got byes in tomorrow’s first round, while the 26 other pairs will have their opening games this Saturday. 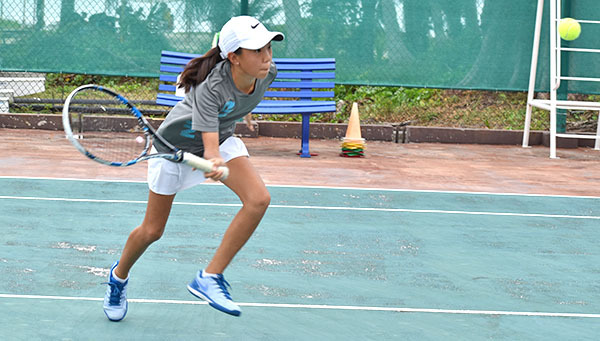 Meanwhile, besides the mixed doubles event, the Northern Mariana Islands Tennis Association-sanctioned event will also have competitions in the boys U16, boys and girls U14 and U12, and boys U10 singles. The boys U10 singles has seven players with June Yu getting the top seed and a bye in the first round. Also on the list are No. 2 Riku Takahashi, June Lim, Ki Won Lee, Eun Been Hwang, Yutaka Kadokura, and Lina Tsukagoshi. In the boys U12 singles, the Top 2 seeds are Juncheol Hwang and Ji Houn Lee and they will vie for the division title against Vladimir Van Der Maas, Wataru Kadokura, Kisuk Lee, and June Yu. The girls U12 singles also has six entries in No. 1 Savita Sikkel, No. 2 Irin Chung. Ji Eun Kwon, Hoo Wang, Anne Lee, and Dana Lee. In the boys U14 singles, David Kwon, Anthony Gregoire, Eubin Park, Amdrew Chung, and Cory Lee will play in a round-robin contest. The girls U14 has the same format with Serin Chung, Helen Kim, Ye Jin Son, and Yebin Shin battling for the division tiara. In the U16 singles, Maria Gregoire joins the boys club and will challenge the winner in the Gang Min Kim-Isaac Heo first round match on Sunday. Ryu and Woo are the Top 2 seeds in the division, which also has Jaehoon Son, Jun Wang, Andy Kim, Daniel Heo, Hyunmin Cho, and Eugene Park. 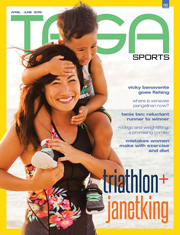 In the men’s open singles, two female players—Tan and Malika Miyawaki—will test their mettle in the much competitive division. Woo, Schorr, Sean Lee, and Race are the seeded and favored players in the event, while Tony Kim, Gary Ramsey, Gerald Boyer, Tudela, and Allan Lee complete the field.